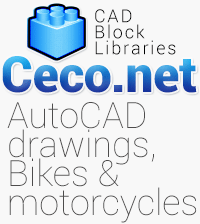 Description for this Autocad block : Autocad drawing of a mountain bike downhill bicycle, these blocks are in dwg and dxf file format. Mountain bike in downhill style. Extreme sports on a bicycle. Downhill mountain biking is a genre of mountain biking practiced on steep.